Over the years my skin has had its fair share of ups and downs, but every time that I've seen those commercials for expensive creams that can reduce lines and wrinkles and make you look years younger... well, I've ignored them. I'm not old enough for that stuff, right? Well, for now anyway. But that doesn't mean that my complexion couldn't use a little help now and again, particularly when it comes to my pores. 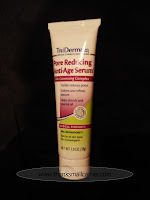 I've tried various products over the years but have never really been all that impressed with the results, so when I heard that TriDerma MD came out with their new Pore Reducing Anti-Age Serum, I was interested in what it might be able to do for me. A medical strength formula designed to instantly help hide imperfections while at the same time improving the overall appearance of pores and skin texture, TriDerma MD Pore Reducing Anti-Age Serum works safe and fast without a prescription. Instead, the ingredients naturally contain over 200 healing properties that work together to make your skin look younger and firmer while reducing pore size. After washing my face, I popped open the 1-ounce tube and began applying a thin layer to my face. At the same time that I noticed the soft, thick consistency of the cream, the smell made its way to my nose. It took me a minute to place the scent, but all I could think of was that I had opened a can of paint... or maybe paint thinner. However, by the time I had finished rubbing in the Serum, the smell was gone and my face? Well, it was smooth. And soft. And my pores actually were a little less noticeable due to the cream filling in and softening the overall texture of my skin. 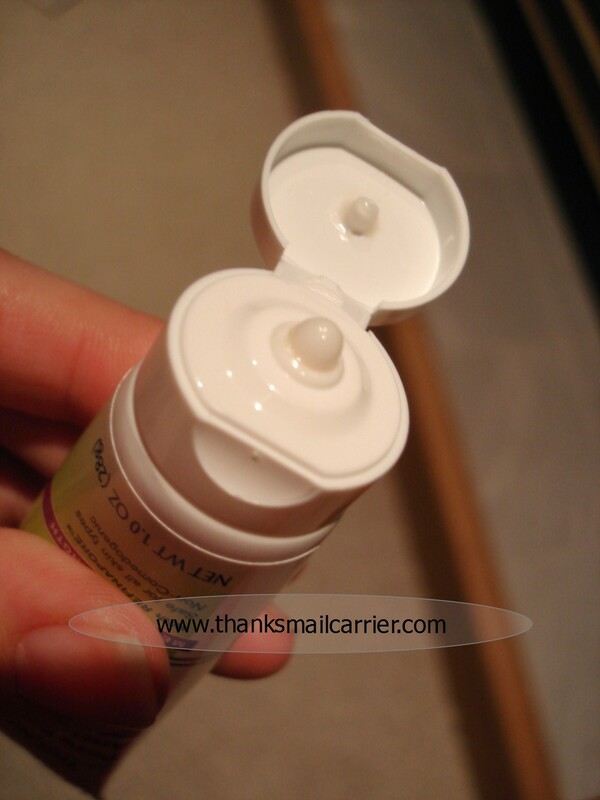 Even better, this cream claims that it helps absorb and control oil - and it really did! Not only did my face feel clean after applying, but throughout the day I noticed a lack in that greasy or shiny feeling... and I didn't miss it. In the end, I have been pleased with the results that have come from using the TriDerma MD Pore Reducing Anti-Age Serum. As we get older, our pores tend to become more visible and appear larger, but by consistently using this cream to help soften and refine the texture of your face, you can feel confident in your complexion. Isn't that something we all want? 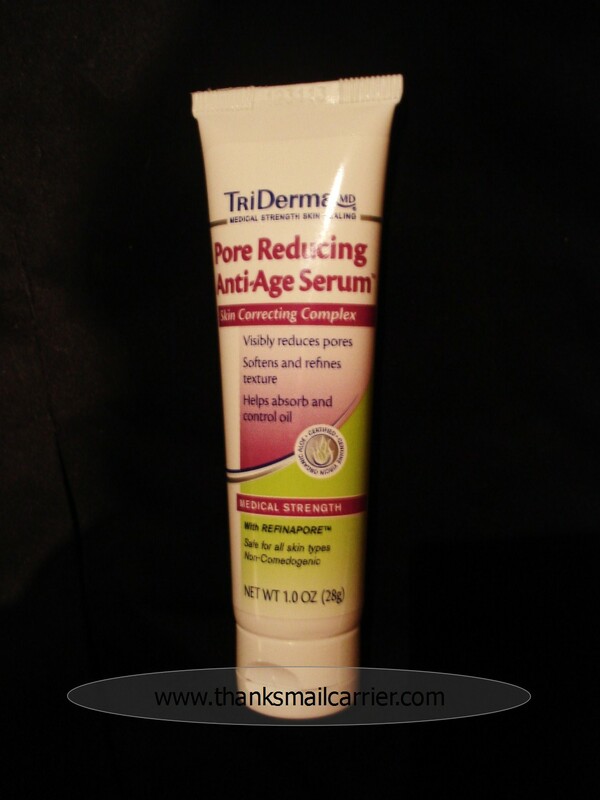 TriDerma MD Pore Reducing Anti-Age Serum retails for $15.99 and is available at a variety of retail locations or directly from their website. This post was written for Family Review Network and TriDerma, who provided the complimentary product in exchange for my honest review. Nothing like the smell of paint thinner lol. Actually, I've used TONS of anti-aging products and they all smell. Most have a nasty fish smell. I've been using them since i was 20...I'm not looking forward to wrinkles, and fine lines. This sounds good! Thank the good Lord that the smell disappeared after a little while! I'm thinking your skin is still in pretty good shape though. You're a young one! I got the same tube to review. The smell didn't bother me, though usually I like a scented lotion. I have to say, I've used it for a while now (it's half used up) and my oily t zone pores ARE actually smaller. I like it....and this coming from a true lotion and potion junkie! And phew, girl, I need a nap after entering all the awesome checking out list giveaways here and at your partner's in crime site :) I really should be spending time working on my own blog but I can't resist a giveaway!! I have been even more aware of how my skin cells are not turning over as fast since I hit thirty. It is definitely inperative for us lovely ladies to take care of our skin as we age. I wouldn't miss having a shiny face either. I've always had that T-zone problem.